The sun sets over the destruction at the Pentagon. Construction crews are removing the three outer rings of the building that were destroyed by the hijacked airliner on September 11th. 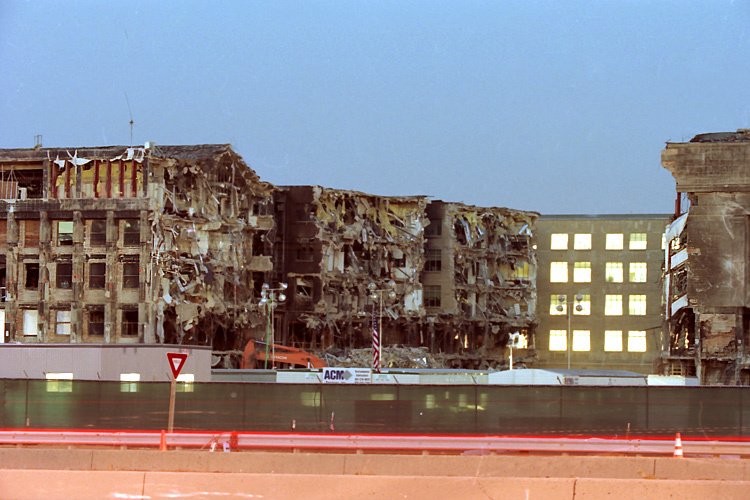 October 29, 2001 - The sun sets over the destruction at the Pentagon. Construction crews are removing the three outer rings of the building that were destroyed by the hijacked airliner on September 11th.